These seven rules were established to help drivers—both in commercial motor vehicles and their own personal cars—continue to be safe, thoughtful and defensive drivers throughout their lives. If these rules are followed as intended, Ruan professional drivers—and the rest of the motoring public—will be safe. Drivers will be better equipped to tackle challenging driving situations. Getting our drivers home safely to their families every single day is of utmost importance to Ruan. 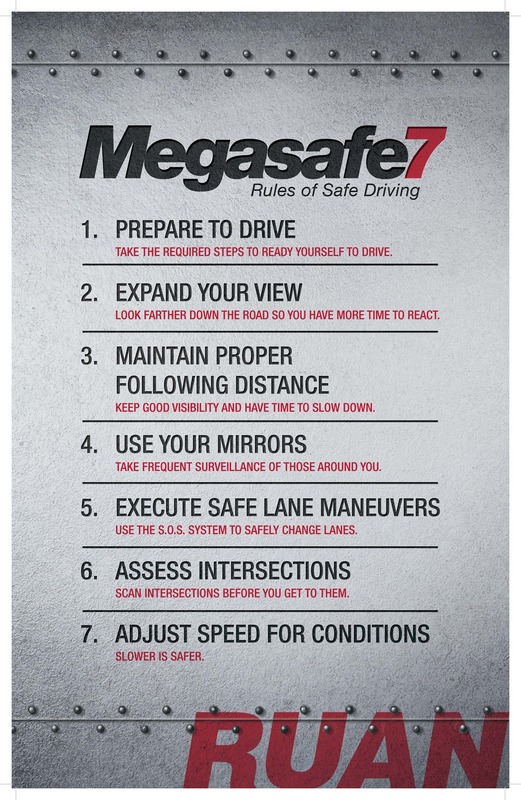 The Megasafe7 Rules of Safe Driving help ensure that that they do.